We highly recommend you watch this video on proper shirt measurement. If in doubt about sleeve length, you are better off getting a shirt bigger than too small. If you order undersized, you will have to return the shirt, and the fabric will have to be replaced at a minimum cost of $40. The same goes for waist and mid section measurements. If you have a large or small waist please let us know so we can adjust (must order back panel fabric for us to adjust). Any manufacturing problems caused by us will be corrected at no charge. These shirts are made to order so we cannot accept returns. 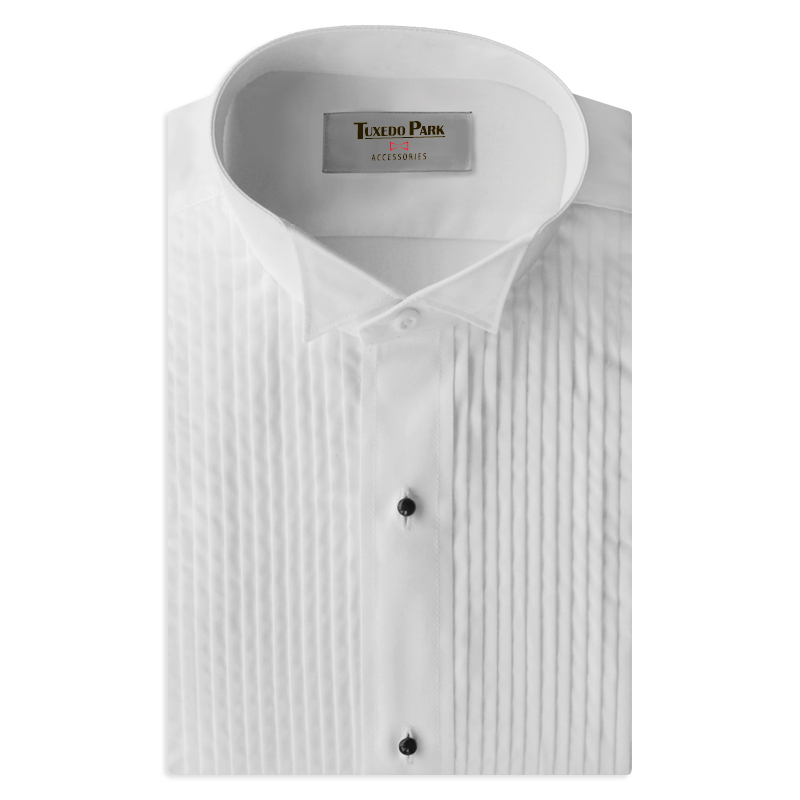 Shirts come in two collar styles (wing tip & lay down) and two front panels (pleated or no pleat). All shirts come in white. Other colors are available through special order if ordered in quantities greate than 6. All our shirts are altered tuxedo shirts, not custom made. We replace the sleeves and back panels with fabrics you choose. Sometimes you will receive a shirt that states a different sleeve length on the size tab then you ordered. Don't worry, the sleeve has been adjusted to the correct length. 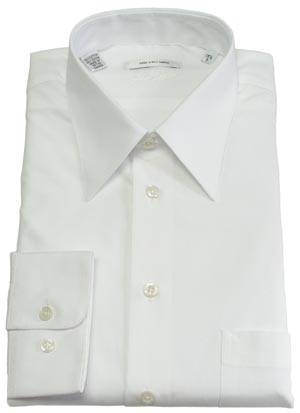 We carry fitted shirts in poly cotton and microfiber. These shirts tend to be a little slimmer than regular tuxedo shirts. If you have a larger waist or chest please let us know in the comments box at the end of your order. **Military personel check under the category with your branch of service for the type of shirt you need to order, call, or look up your regs. ***Army ASU shirt are made by government contract and not available on the open market. Most of our customers in the Army order the laydown, no pleated polycotton shirt as a substitue. It looks just like your ASU with the jacket on. If you need a traditional ASU you will have to send it to us to be altered.